Lead the pack with a softer hand and the superior quality. 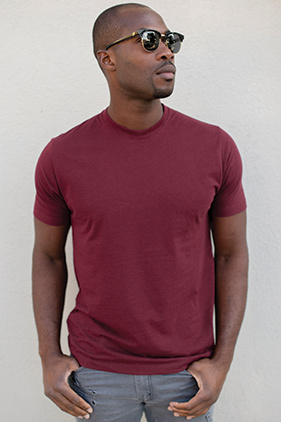 52% cotton/48% polyester blend jersey 4.7 ounce t-shirt. Standard fit. 30 singles yarn count. Side-seamed. Taped neck and shoulders. Double-needle sleeve and bottom hem. 3/4 dtm neck rib. Tear away label.